It is very common for someone to forget their password. 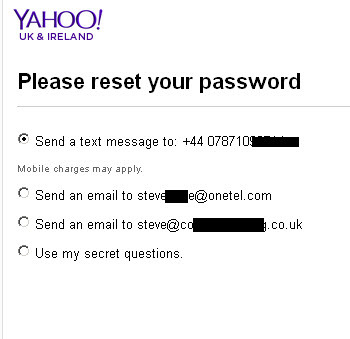 Yahoo, like other on line services, provide a password reset mechanism. However resetting your password is not the first thing you should try, as when you do you will need to update your password on all devices that you use to access your email. A quicker option is to try to Find or Recovering Your Email Passwords. which can also be quite easy to do. If you cannot find the password then you will have no option but to reset it. 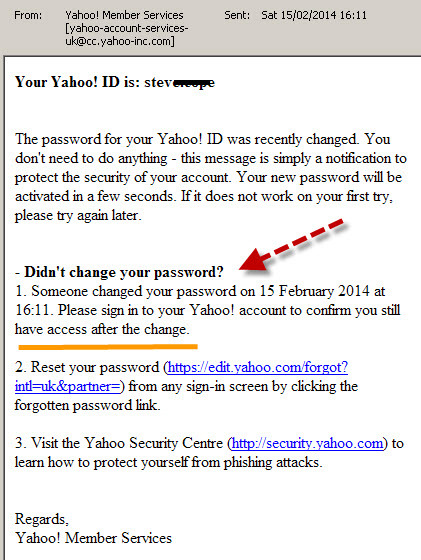 To Reset your Yahoo password go to the Yahoo email login page and select the option- I cannot access my account. Next you must select a reset method. The choices you have here depend on what options you have configured for your account. 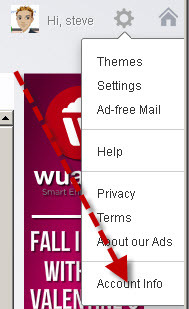 In the screen shot below you can see I have several options, and I chose the send email to address option. You get notification that an email has been sent. You then need to go to the recovery mailbox. 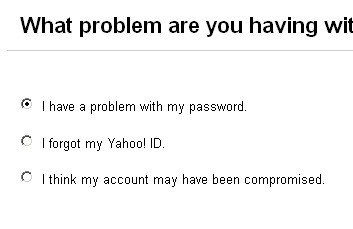 The email comes from Yahoo member services. You get a confirmation screen and an option to update your mobile contact number. 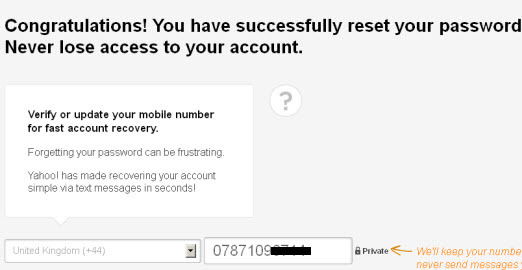 An email is also sent to your recovery email account(s). The process is simple and straightforward, but you need to have set up some password recovery options in advance. 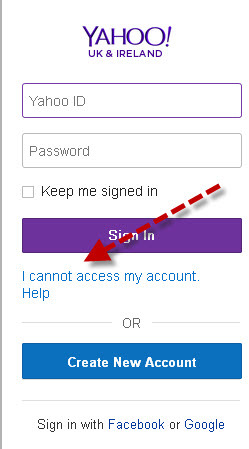 You can change your recovery options by going to the Yahoo account info settings. Select the Update Password reset option. I recommend you set up two recovery email addresses if possible. If you don’t have that many addresses yourself you can use the email address of a trusted source e.g. your wife. They never entered any recovery options. The recovery option details they entered are out of date and no longer working. e.g. they no longer have access to the recovery email mailbox. The password prompts they used were not properly thought out. They had no system for creating easy to remember passwords. Resetting or recovering from a lost Yahoo password is relatively easy, but only if you have been careful enough to create and update your recovery options. You should change your password should be done periodically which is why it is important to have a system for choosing new easy to remember passwords.